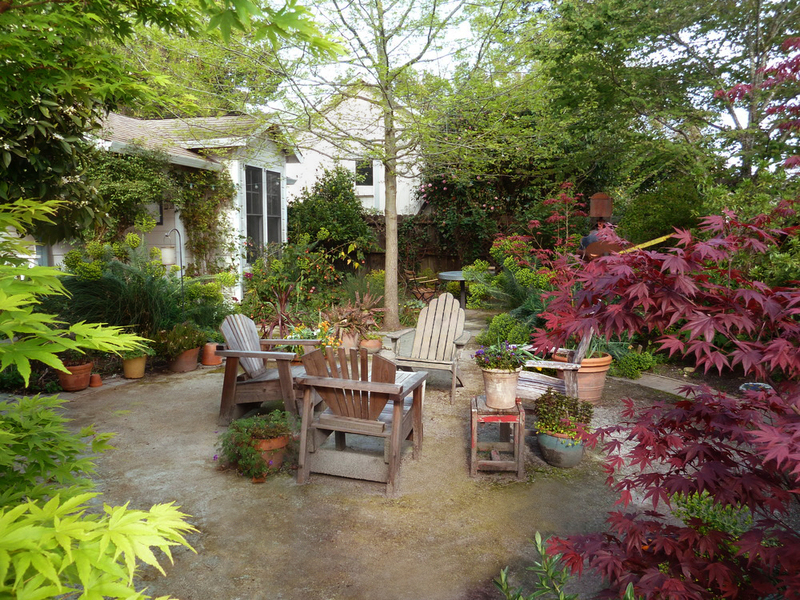 This light-filled cottage is a comfortable hide-away 5 blocks from the Healdsburg Plaza. Dine in the private garden setting or just hang out the around the fire pit. Simply stroll into town for dinner. The setting accommodates visitors who want to relax in privacy. The bedroom has a very comfortable queen bed and the living area includes a brand new Scandinavian Design Queen sofa sleeper with a very comfortable memory foam mattress. Amenities include filtered and sparkling water, coffee and tea service with coffee pot, coffee press and electric tea kettle. The cottage is perfectly suited for simple food prep as it is equipped with utensils, dishes, bowls, a sink, microwave, toaster oven, under counter refrigerator. We also provide cable TV/VCR, On demand and Radio/CD, and Wifi. Enjoy dining outdoors in our quiet, private garden area or read and relax in one of the nearby Adirondack chairs. The cottage is within an easy walk to award-winning restaurants and shopping. It is very quiet and peaceful at night. - Children welcome. Sorry, no pets.